It's almost time to suit up for another Overwatch mission, as the multiplayer shooter prepares for its Storm Rising event, which goes live tomorrow and will run until May 6. An exciting new trailer shows the OW crew in action in their mission to capture Maximilien the account of dangerous Talon operative Doomfist. Players will once again lead a select team of characters in the new PvE mode, consisting of Tracer, Genji, Mercy and Winston. As noted in the trailer, it is up to this team - codenamed: "Soujourn" - to assault Maximilien's motorcade. Woe betide any forces that stand in their way. 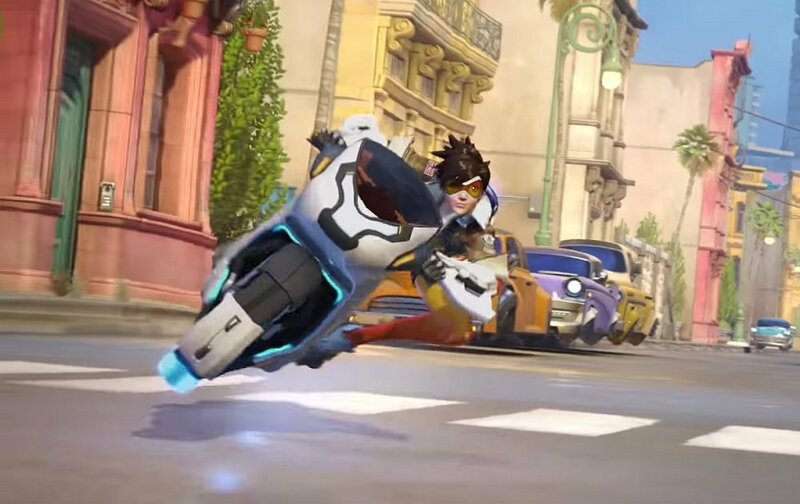 Interestingly, the trailer includes a segment where Tracer mounts a futuristic motorbike and Genji takes down moving vehicles, samurai-style. Whether this scene will play a part in gameplay is unknown, but it would be a unique new mechanic if the action briefly turned into a rail shooter or something similar. Of course, along with the new mode will come a glut of new skins, sprays, avatars, and other gubbins. Storm Rising runs from April 16 to May 6. Overwatch is available now on PS4, PC and Xbox One.